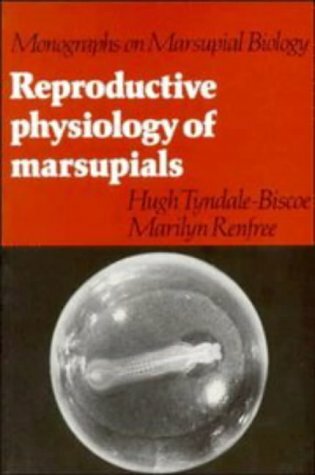 Authoritative and engaging, this volume from the Walker's Mammals series focuses on marsupials, pouched animals whose unusual method of reproduction -- between egg laying and placental birth -- places them in a unique category among mammals. 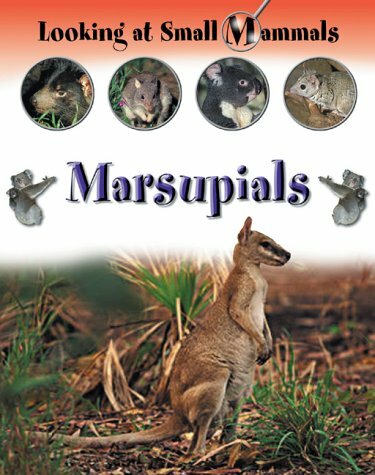 A comprehensive guide to the biology and distribution of marsupials, this book includes common and scientific names, size and physical traits, habitat and ecology, behavior and social interactions, reproduction, life span, and conservation. The text is coupled with illustrations from the collections of leading photographers and the world's greatest museums. 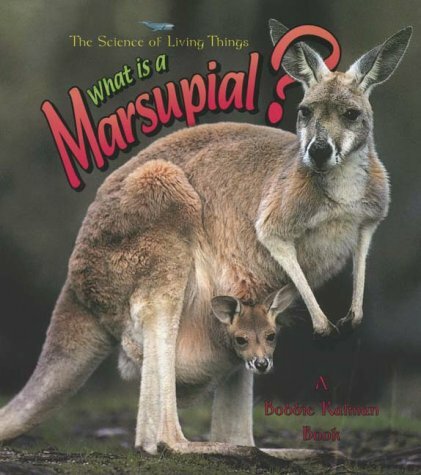 An introduction by marsupial expert Christopher R. Dickman describes the evolution and current status of marsupials and reveals why they add so much intrigue to the natural world. I was let down when it arrived because the images are older B/W shots, and on the small side. Not so good for doing research for a story, or to learn about the animals. Scholarship wise, it was competent, but not pleasant reading. If you want dry facts in a awkward writing style, this is the book. Did you know that Queen Isabella was interested in the marsupials, or that it was once believed that marsupials copulated nasally and sneezed the newborn into their pouches? 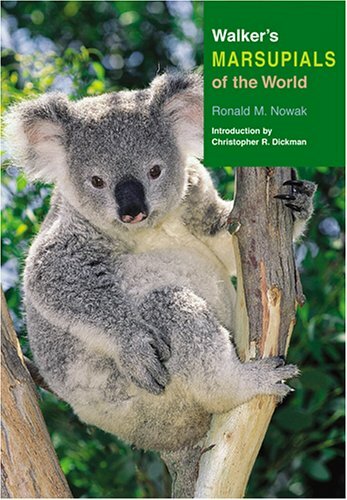 "Walkers' Marsupials of the World" is a handsome, scholarly work well suited for the amateur or generalist.Its overall qualities outweigh its few quirks, and I can strongly recommend the edition to all but children and post-graduate level specialists. 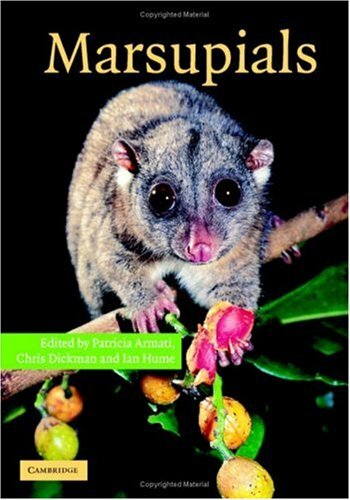 This scholarly and informative book, which is suited to a high-school or above reading level, consists of an entertaining opening monograph by Christopher Dickman on topics germane to marsupials as a group, and a comprehensive main body by Ronald Nowak describing in detail all living and recent genera. The section heads of the 42 page Introduction include: Taxonomy & Evolution, Morphology, Reproduction, Distribution & Diversity, Diet, Life History, Economic & Ecologic Importance, and Conservation, as well as References. 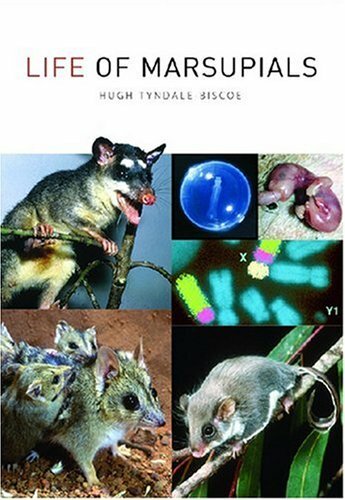 The Introduction is written mainly from an ecological and taxonomic viewpoint.While the physiological specializations of the group as a whole, and certain developments, such as the unique dentition of the Diprototont subgroup (i.e., Koalas, & `Roos as opposed to Opossums, Devils & Bandicoots) are mentioned in the text, there are no line drawings of skeletons or any anatomical diagrams.Pouch anatomy and specializations of the digits are described in the text, but there are only a few photographs of young suckling, none of birthing, and only a few insets in the main section showing external foot morphology.I, for one, have always been fascinated by the "two-thumbed/three fingered hand" of the Koala, for example. But there is little attention to anatomical detail. There are over 140 black and white photographs in the book, almost all of individual live specimens.While keeping the price reasonable, the lack of color makes the work a bit drab and definitely unsuitable for children. 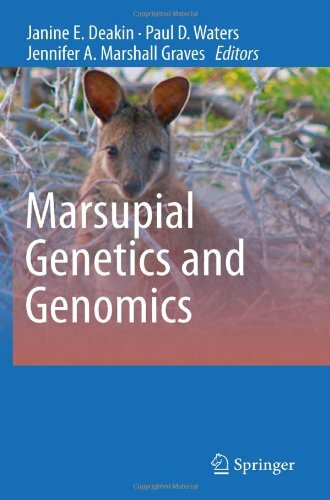 The main text examines each of the known marsupial genera, with at least one photo per genus, including the tragically lost Tasmanian "tiger" and all known (recent) species are named.Fossil forms are excluded. There is no cladistic analysis, but the text and a table in the introduction serve as a classification in outline form, and taxonomic issues, such as the phylogenetic position of the "Monito del Monte" (a South American enigma that may be more closely related to Australasian groups than to the American opossums) are addressed. 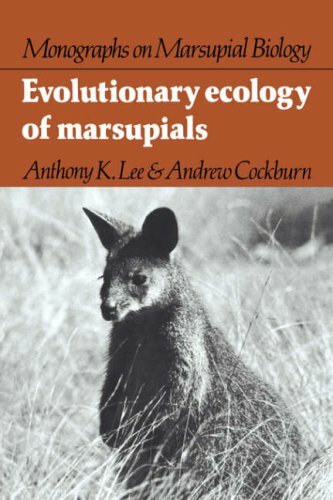 The book does treat the Marsupials as consisting of seven groups of ordinal rank, an improvement over the traditional lumping of all groups into just one order.Overall mammalian taxonomy is in such a flux now, that the work is reluctant to make any authoritative statements, choosing a reasonable middle ground.As the work is fully noted, and references at least as recent as 2003 are in the bibliographies, those interested in such matters will be well guided in their own research. 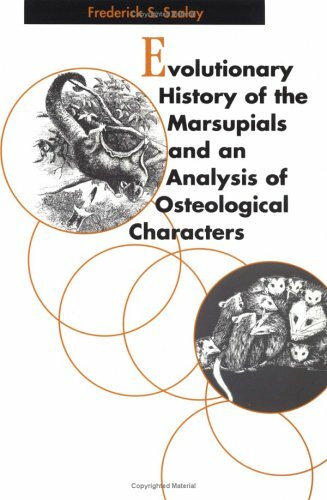 Given that there are no maps, no drawings of internal or reproductive anatomy, no illustrations of such fantastic extinct forms as the marsupial "lion" Thylacoleo, or any other visual aids except the black and white "field-guide" photos, it is absolutely bizarre that the editors included a bare-boned appendix giving the geological timeline back to the Permian and four pages of metric/U.S. conversions with a 47 inch/1200 mm ruler (broken up into 10 segments to fit the page width!) instead. Nevertheless, the paperback edition is well worth its price at pennies per page, and I would rate it four and a half stars. Australia, Papua New Guinea, and eastern Indonesia together share all the monotremes (egg-laying mammals) of the world and all the marsupials (pouched mammals) except those of the Americas. 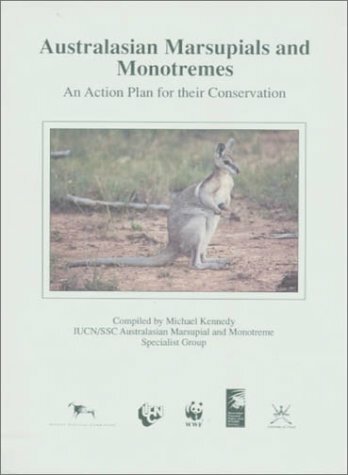 There is an urgent need for concerted action to conserve the marsupials and monotremes of the Australasian region. Australia has the worst extinction rate for the mammals of any continent or country and Papua New Guinea and eastern Indonesia are undergoing rapid development which, if not properly planned and controlled, could threaten the habitat of many marsupials, as well as other species. Some of the best nonfiction for young readers! With "Marsupials" Nic Bishop continues to provide some of the best nonfiction for young readers.Although his photos for "Marsupials" aren't as breath-taking as his other titles (check out "Frogs" and/or "Spiders"), they are excellent nonetheless and capture a wide variety of these animals in numerous settings.The text is straightforward without being too simple, and provides thought-provoking details.My best guess is that this is written on a third grade reading level.So, for a child to independently read this, he would have to be an advanced first grader to a struggling fourth grader. A Kangaroo can run faster than a horse and a Bilby "looks like a mix-and-match puzzle. It has the ears of a rabbit, the legs of a kangaroo, the body of an aardvark, and the silky soft fur of a chinchilla." These and many other interesting details about marsupials are presented in this very appealing photo essay. The photographs are astoundingly clear and up-close: a possum's liquid brown eyes stare out of one photo and his bright pink nose looks ready to twitch. 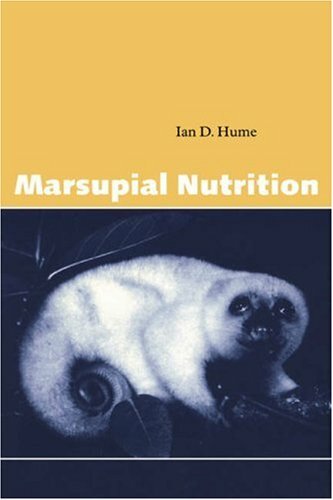 There is a beautiful crystalline shot of an elusive tree kangaroo and a very humorous shot of a mother koala bear slumbering while her Joey looks askance down at her.In an amazing double spread foldout, four poses of a gliding possum reveal it soaring with its leg flaps fully extended.A nice author's note explains his passion to study marsupials in the field and his fear for the long term survival of some of the threatened breeds; a photograph shows him out in the field with all his camera gear. 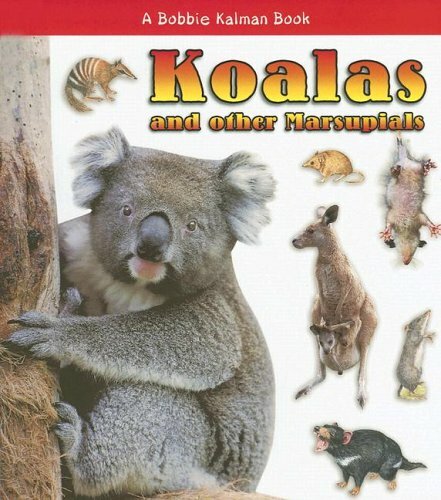 The variety of these unique mammals is well presented in this attractive book - a guaranteed treat for animal lovers. This was a stunning look at some of the most elusive marsupials on the Australian continent! Many children learn about mammals and marsupials in school, but aren't familiar with some of the more unusual members of the group.A marsupial, who is also a mammal, is different in that when their babies are born they "are so small, they look like pink jelly beans with two little legs. "The kangaroo is probably the marsupial that quickly comes to most people's minds, but how about the boodie, the Mtschie's tree kangaroo, the rufous bettong, the bilby, the fat-tailed dunnart, the quoll, the numbat and the Tasmanian devil?Yes, there really is such a thing as a Tasmanian devil! In this amazing book we are whisked off to the continent of Australia to learn about and meet with these marvelous, but sometimes downright odd looking creatures.For example, that Tasmanian devil, whose "bloodcurdling shrieks" frightened Australia's early settlers, can wolf down "half its weight in meat in just thirty seconds. "The Matschie's tree kangaroo is one of those rarely seen creatures, so rare that many people don't believe they exist.You will when you see a photograph of one.These elusive critters can actually "walk by moving one leg at a time. "This stunning book will give you an armchair view of marsupials Nic Bishop took months to capture with his camera.One time he snapped a picture of a wombat only after "wriggling on [his] belly for hours!" Joint winner of the 2005 Whitley Medal. Included in Choice Magazine's 2006 Outstanding Academic Titles list. Over the past half a century research has revealed that marsupials – far from being ‘second class’ mammals – have adaptations for particular ways of life quite equal to their placental counterparts. Despite long separate evolution, there are extraordinary similarities in which marsupials have solved the challenges of living in such environments as deserts, alpine snowfields or tropical rainforests. Some can live on grass, some on pollen and others on leaves; some can glide, some can swim and others hop with extraordinary efficiency. 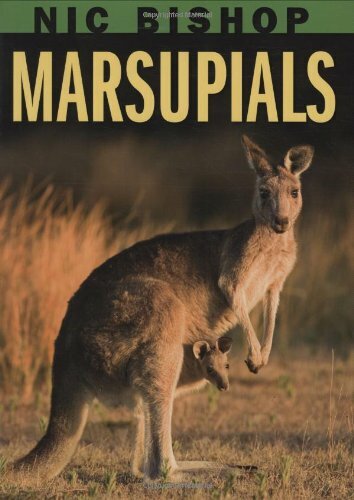 In Life of Marsupials, one of the world’s leading experts explores the biology and evolution of this unusual group – with their extraordinary diversity of forms around the world – in Australia, New Guinea and South America. This was purchased to be used at at zoo when we first got kangaroos. This is the 4th book in this series that we have purchased for out toddler, and each one is just as good as the last. The illustrations are are phenomenal, the text simple but very informative, and everything comes together beautifully. I am certain that this book and series would be age appropriate for children as old as 8, but certainly are very good for curious toddlers as well. So happy to have found this series! An excellent part of a wonderful series. I can't praise these books highly enough;the illustrations are very appealing, the text is clear and simple without being babyish, and the layout is inviting. 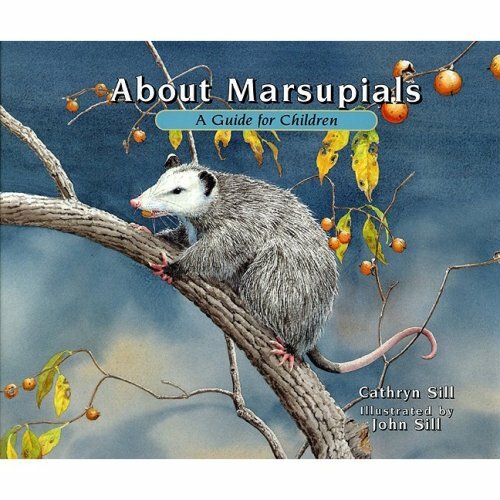 Each double page spread features a charming picture of a particular marsupial on the right side, and a clean white page with anywhere from one word to one sentence describing an attribute of the marsupial pictured that also applies to other, sometimes all marsupials. The simple text and layout make the book appealing as a read-aloud text for toddlers and preschoolers (my almost 3 yr. old loves this series) as well as an excellent choice for emerging readers. It can be difficult to find high-quality nonfiction texts for the preschool and early elementary crowd, but this book and it's companions are a perfect choice.My 8 yr. old, who struggles with reading, enjoys these because they are within his grasp but are not oversimplified or dull. At the end of the book are a few pages with thumbnails of each illustration accompanied by slightly more in-depth information about each animal.I read just a few of these at a time to my 3 yr. old, to match his comprehension and attention span; they are a very nice 'bonus' to an aleady delightful book. Very highly recommended.